Getting Ready for Build Season! Our 2018 off-season was a busy one! We did lots of outreach this off season, attending a total of 14 outreach events! We started out this Summer volunteering at the Issaquah Public Library for their Lego Building Buddies events, which was a blast, building with legos is always fun. 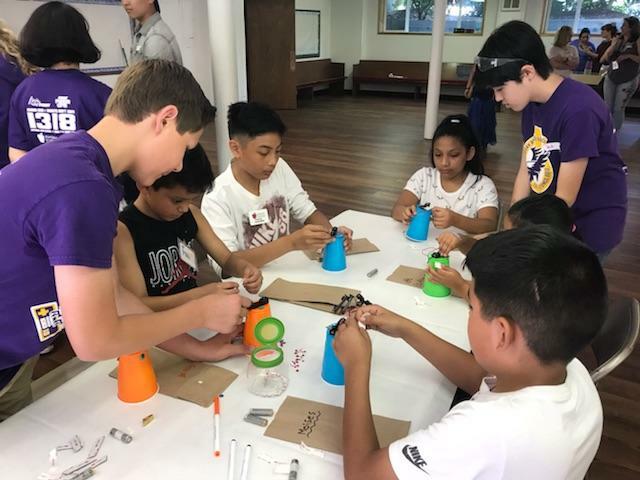 In August we attended another one of the Library’s programs at May Valley Church to build spiral bots and play catch with our robot with their reading programs kids. Later in August we attended Highlands days along with the Iron Patriots from Liberty High School to talk to families about FIRST and play with robots. About a month later, we attended our biggest outreach event of the season, Salmon Days. We took over the back patio of the police station on October 6th through 7th along with our friends Sparta Bots from Skyline High School and various FTC and FLL teams to host their own booths around the patio. 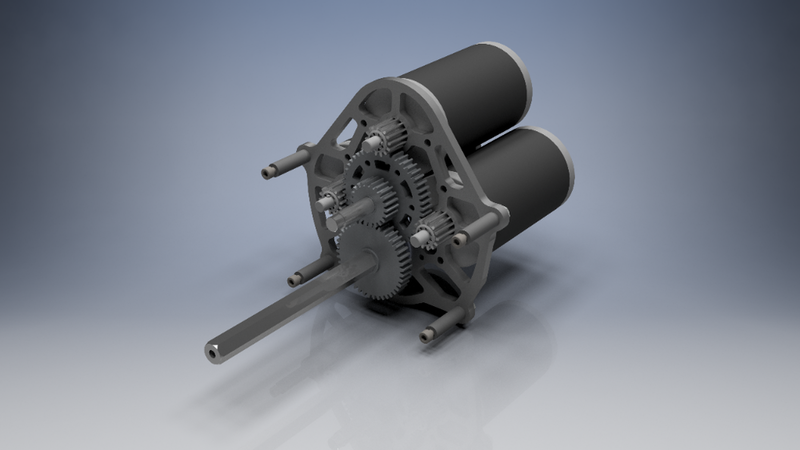 This summer we designed and fabricated a 6 mini CIM gearbox we intend to use in the 2019 season, called KGB-3, short for KitBot Gearbox 3 Mini-CIM. 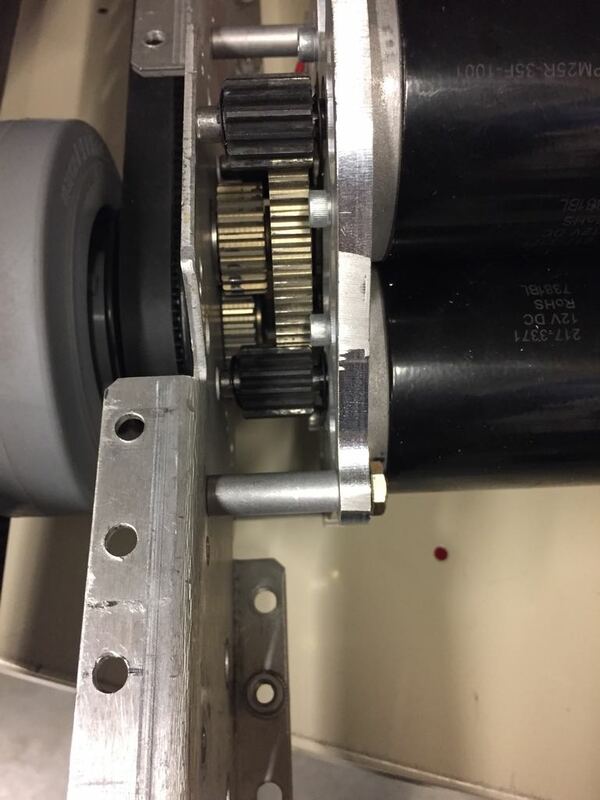 We decided this gearbox would be a good option to have going forward for the extra speed and efficiency, as our post-season SWOT analysis revealed that one place where our 2018 robot fell behind was speed. This gearbox went through quite a few iterations, including adapting it for use with the KitBot frame. We also restructured the swiss cheesing multiple times to make it as light as possible while maintaining its structural integrity. We tried to cut it out with our ShopBot, but these attempts didn’t turn out too great. We eventually asked our gracious friends over at Bear Metal in Tahoma to cut it out with their CNC Milling Machine. If you’re interested, there’s more info about our KGB-3 on our resources page! Team 1318 attended two off season competitions this year, Peak Performance and Girls Gen. We won Peak Performance with our magnificent alliance partners Bear Metal, the Pigmice, and a (almost) completely new drive team! We also had a great time at Girls Gen with our fantastic alliance partners Skunkworks and Chill Out, getting all the way to finals with a brand new, all-girls drive team. These competitions were great opportunities to show our rookies what a competition is like and let our members try out new roles, we hope to attend them in the years to come! More recently, to kickoff our 2019 season we hosted a family and alumni potluck at the beginning of winter break. Our members got a chance to catch up with old friends and spend some time with their family before build season, and we announced our build season leads! Good luck to Jacob Lessing, John Morse, Takuto Tsujino, Samika Gupta, Manasi Shah, and Jonah Powazek, the individuals who will be leading the fabrication, programming, and strategizing of our robot and scouting system in the 2019 season!